Do you need secure on-site container storage that can be delivered directly to your door? *Restricted access means overhead obstructions or cables hanging below 16 feet on the route to the delivery point. We’ll need access to drive a delivery lorry to within ten metres of where you want your storage container. *A bunded storage container has a secondary internal structure that is used to protect the environment from spills of chemicals or liquids stored inside. *Cleanliness might be an important factor to consider if you are planning to store food, furniture, books or documents. *The type of doors or openings to your storage container depends on what you plan to store and how often you need to access it. Our standard containers are 2.34 metres wide and have one double set of doors 2.28 metres high at one end for access. So for long items, full-side access can be useful or for tall items which need to be kept upright, you may need additional height. We have a large range of storage containers for sale or hire depending on whether you are looking for a permanent or temporary storage solution. Storage containers come in a variety of different sizes which make them ideal for different uses. Take a look at our handy guide to find out which sizes you need. Established since 2002 with a prestigious portfolio of customers and a friendly and enthusiastic team of 25 trained staff, we have successfully provided portable storage solutions for a wide range of uses – from construction materials to garden furniture and sports equipment to archived filing. We offer storage containers for sale and hire depending on your needs. Our vision is to save customers time and money by being the most reliable supplier of quality portable accommodation, storage and welfare solutions in our markets. We are honest, positive, enthusiastic and flexible and committed to establishing long-term relationships with our customers. Product : Brilliant I would definitely recommend them. Service rating : They delivered and picked up the container when specified, the collection was delayed a day due to very strong winds but they kept us informed and collected it the next day. 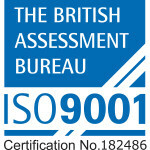 We are fully ISO9001 certified. This is a certified quality management system (QMS) for organisations who want to prove their ability to consistently provide products and services that meet the needs of their customers and other relevant stakeholders.